While there are many headsets on the market for music lovers, when it comes to headsets to meet a gamer’s needs, most fall short. Good gaming headsets need clear audio and directional sound is crucial so that the gamer can hear his surroundings in the game clearly. He’ll also be able to keep track of the movements of the other players by hearing where they are. Since there are so many different types of gaming headphones on the market, it can be quite confusing to pick one that is just right for you. You may not know where to start because of the plethora of choices at your disposal. Worry not. We’ve got your back. We researched several of the best gaming headset 2016 lists and narrowed down the selection of the best gaming headsets that’s worth getting. It doesn’t matter if you’re looking for a wireless headset or a PC gaming headset or any of the variations. 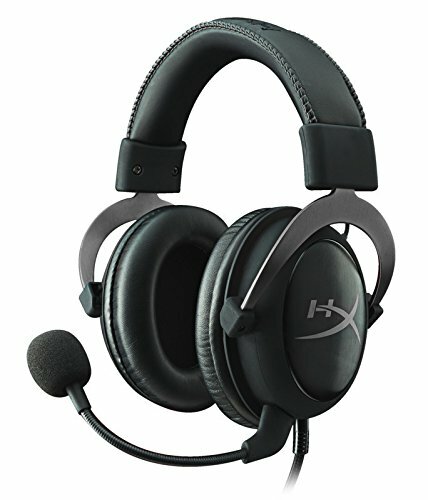 The list below has headsets that will suit any gamer’s needs. Compatibility. Game consoles will only work with specific headsets. Your headphones must be compatible with the game console you’re using or your sound reproduction may lag or not be synchronized. In many cases, you will not even hear any sound. So, do check that the headphones are compatible before buying and in the event that you make a wrong purchase, there will be adaptors to help you sort the problem. All hope is not lost. You just need to get an adaptor. Stereo or Surround Sound. This is very important because gamers rely on accurate positional audio to be wary of potential threats in the game and also know where their fellow players are. Unlike a home entertainment system where several speakers are used to create surround sound, headphones use virtual surround sound. By sending the game’s audio to a processor and transforming it into surround sound, you get virtual surround sound that sounds just like the real thing. Of course, stereo is always clearer but for gaming, virtual surround sound is more than enough to provide a great user experience. Power Source. Different audio accessories have different power requirements. The one similarity they all have is that they consume a lot of power. If your headphones are plugged into the console and draws its power from there, you’re good. However, if you’re using Bluetooth headphones, do remember to charge the batteries fully before playing or your headset is going to die off halfway during your game and interrupt your gameplay. This can be highly exasperating. How you will charge your headsets will depend on the model of the headset. Some require batteries. Some use rechargeable batteries. Some are charged with a USB cord and others just need to be plugged into the console. Study the instructions with the model and choose one that suits your preferences. Analog or USB. Analog headsets plug into the 3.5mm headphone jack. USB headsets are plugged into the usual rectangular jack. There is some small sound differences. However, for the most part, the differences are negligible. Which jack you choose is up to you. Nowadays, most of the good gaming headsets have both an analog plug and a USB adaptor. This makes it easier to connect them to a variety of devices. If you get a headset that only has an analog cord, you can always use an adaptor to make it a USB. However, some sound quality may be lost and adaptors are also a little bulky. This is our top choice because after our testing, we discovered that the G4ME ONE has such excellent sound quality that it will appeal to both gamers and audiophiles. It’s really that good. You can use it for both games and music. The headset is comfortable and the cloth earpads are generously padded. You can use these headphones for hours and not know that they’re there. Your ears will not feel sweaty and clammy. The mic is flexible and you can position it easily. There is just as much ease using the volume controls on the right earcup. 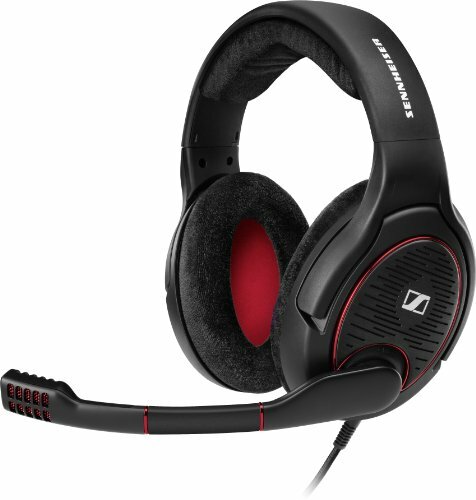 Sennheiser really outdid itself with this set and the game sounds and chat are so clear that they’re a gamer’s dream come true. The only downside is that this headset was designed to be a PC gaming headset. So, you’ll need to use adaptors to use it with other game systems. However, this headset is so good that it’s worth the extra effort. 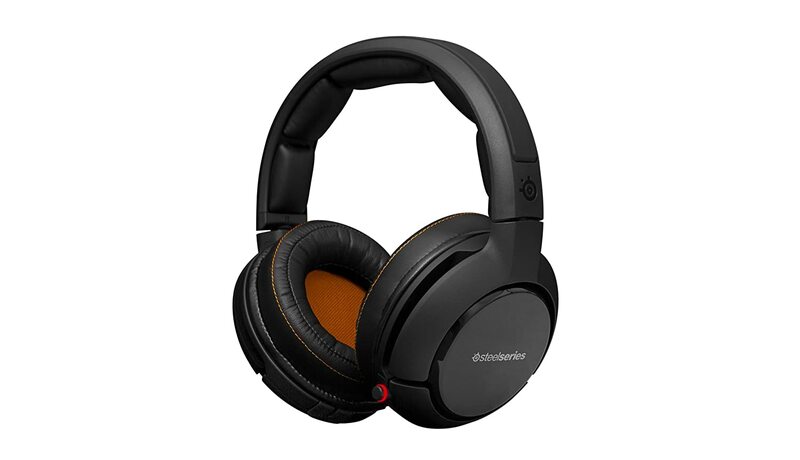 This is a very popular choice among thousands of gamers all over the world because of its sound quality and customization options. You can choose if you want your ear cups to be made of cloth or faux leather. You can switch from stereo to surround sound just by pressing a button. Even the microphone is detachable so that you can set it aside when you’re in single player mode. Of course, you can use the USB plug for PCs and Macs but switch to the good ol’ 3.5mm plug if you’re playing on an Xbox or PS4. The sound is accurate and when you wear this headset, you’ll be able to pinpoint which direction the sounds are coming from. This makes for very realistic gameplay and the bass tones while strong, do not overpower the vocals or high-pitched sound effects. There is balance equalization. If you’re a gamer who really wants to be right inside the game, this set is definitely for you. This wireless headset has awesome sound customization and the battery life is superb. The SteelSeries H is one of the best wireless gaming headsets on the market today. When you get it, the headset already has built-in presets that will balance the vocals and sound effects. A simple wheel-like design will allow you to switch between different sound modes. Want to tone down noisy players and focus on the background noise? Just flick the switch and in a second you are listening out for every detail in the game soundscape. The headset runs on a dual battery system so that it doesn’t suddenly die out in the middle of a game. You can easily swap the rechargeable lithium-ion battery that’s housed inside the transmitter. However, the batteries can last about 20 hours per charge. So, as long as you’re charging them while not in use, you should have no issues. This headset is best for players who want the freedom of gameplay without a cord but also want sound that can be customized. This product is all about simplicity. Its features include a variable bass boost, independent chat and game volume, USB powered, an omni-directional mic that is flexible and extremely clear vocals. The stereo sound is well-balanced and the sound effects are emphasized where they should be. 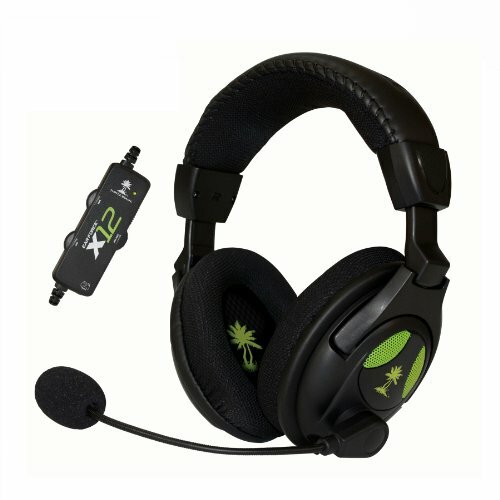 This is a very versatile headset that is compatible with almost all gaming systems. A major plus point is that it is very affordable and gamers on a budget can always get this headset and still enjoy great value. This headset is USB-powered and a very popular choice among gamers. It has an in-line amplifier and since it’s lightweight, it’s very comfortable to wear for hours. Sound quality is balanced with a clear stereo. You can control the chat volume and game volume from a little plastic box that is fixed 12 inches from the headset. There are controls for boosting the bass and muting the mic. You can fine tune the sounds within the game quite easily. There is a lot of comfort when using this headset. The memory foam used on the ear pads are great for extended play and the fabric headband is not bulky or heavy. We used this headset for hours without getting sweaty ears. So, these headphones keep your ears cool too. If you want comfort, great sound quality and an affordable price, this is a good set to get.